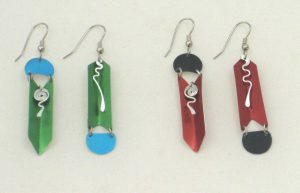 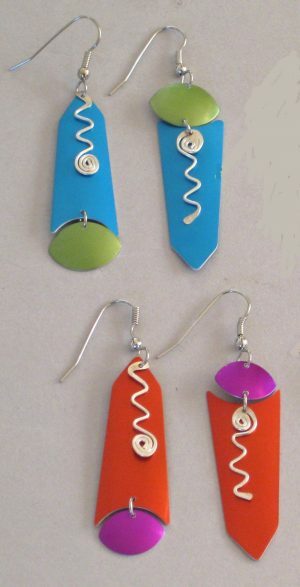 Earrings with geometrically shaped sheet and wire in 6 colors, 2 ½” long, shown in Odessa (left) and Provence. 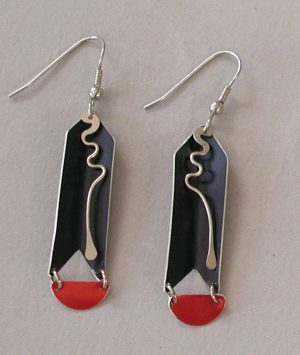 Asymmetric pair of earrings 2″ long, two colors with silver or gold detail. 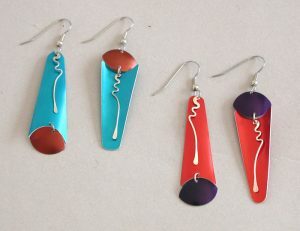 Earrings 1 ¾” long, 2 colors, convex and concave. 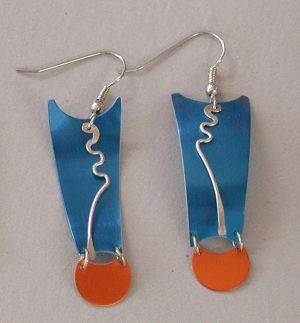 2” pair of asymmetric earrings in 2 colors with silver or gold detail. 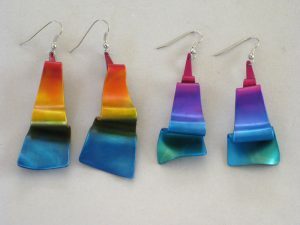 Fade-dyed earrings 2 ¼” long, shown in Rainbow (left) and Cool. 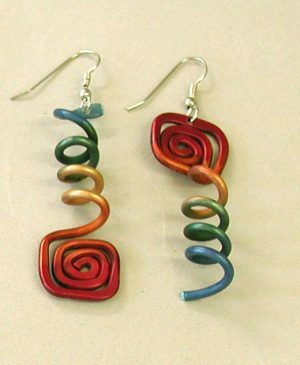 Fade-dyed wire earring 2″ long, shown in Rainbow. 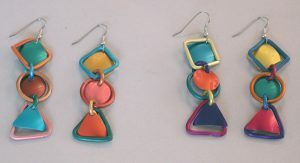 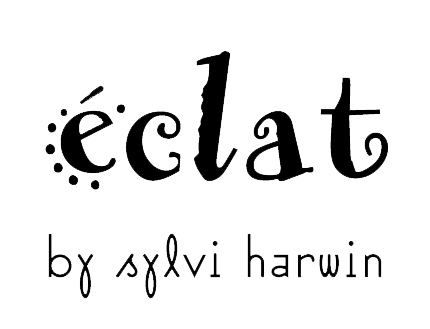 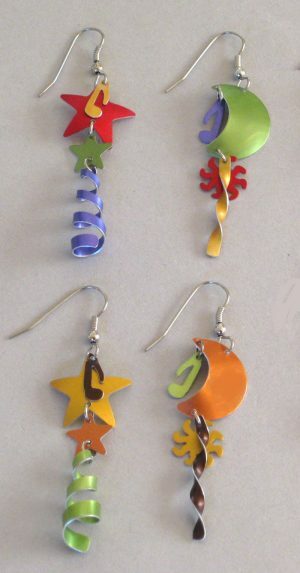 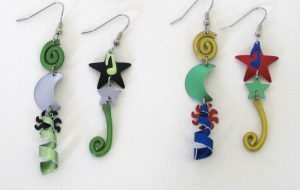 Earrings in 6 colors 2 1/2″ L shown in Bazoche (left) & Capriccio. 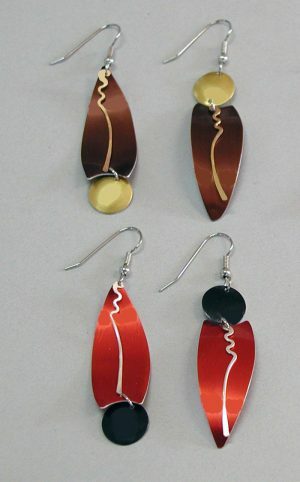 Asymmetric pair of earrings 2” long, shown in Manhattan (left) and Marrakech.